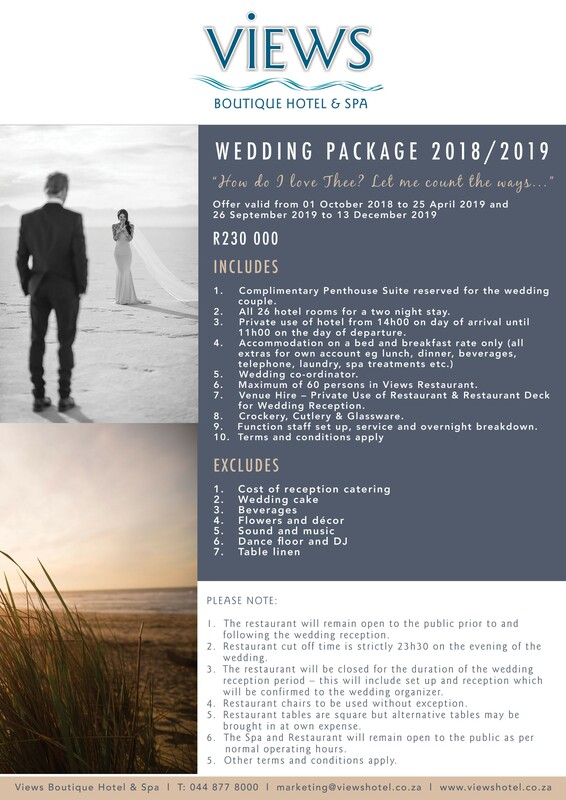 Say your ‘I dos’ in style and start your married life in idyllic fashion at South Africa’s ultimate wedding and honeymoon destination. 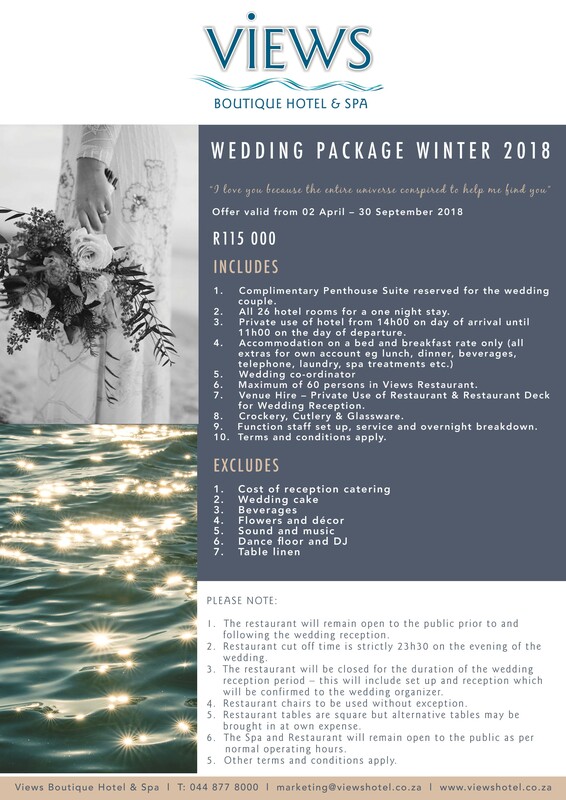 Let the warm waves of the Indian Ocean dance delicately at your feet as you make your vows, celebrate with your loved ones as the sun dips slowly into the vast horizon, and spend a few special days making memories with your new spouse. 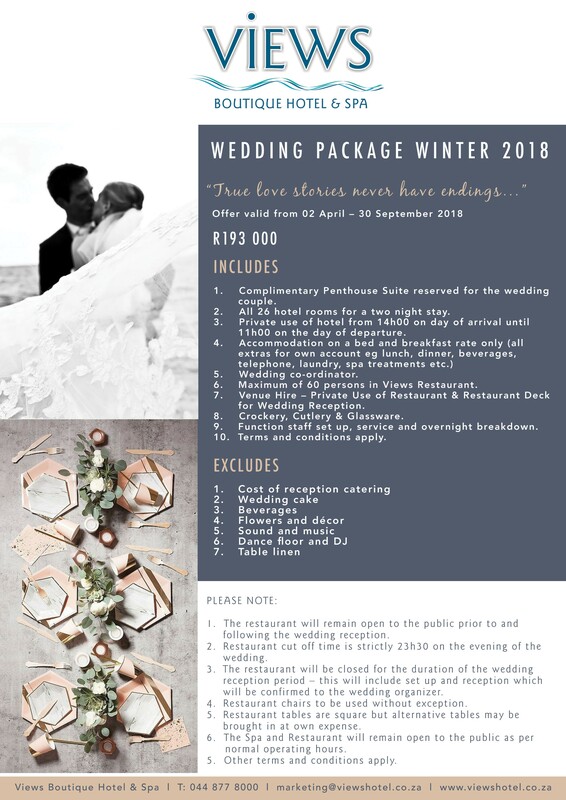 Our Wedding and Honeymoon packages offer up the best of both worlds, affording you a venue equally suited to revelry and relaxation, and giving you the chance to truly savour the company of your loved one once all the champagne corks have been popped and the cake cut. Receive a complimentary voucher for horse riding in Wilderness National Park OR 90 minute sunset cruise on Knysna Lagoon. 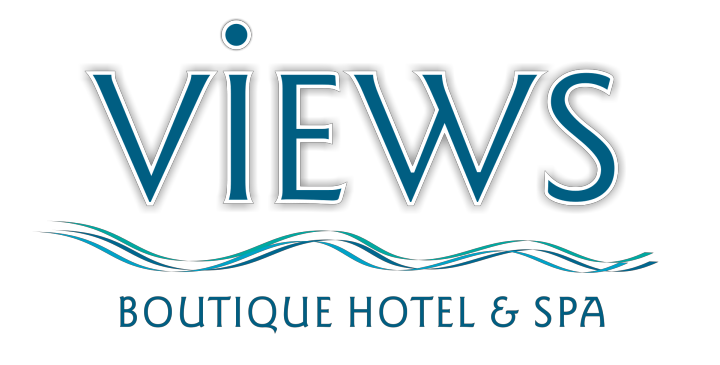 – a complimentary voucher for horse riding in Wilderness National Park OR 90 minute sunset cruise on Knysna Lagoon. – Voucher/s are only redeemable as stated and will not be exchanged for cash. 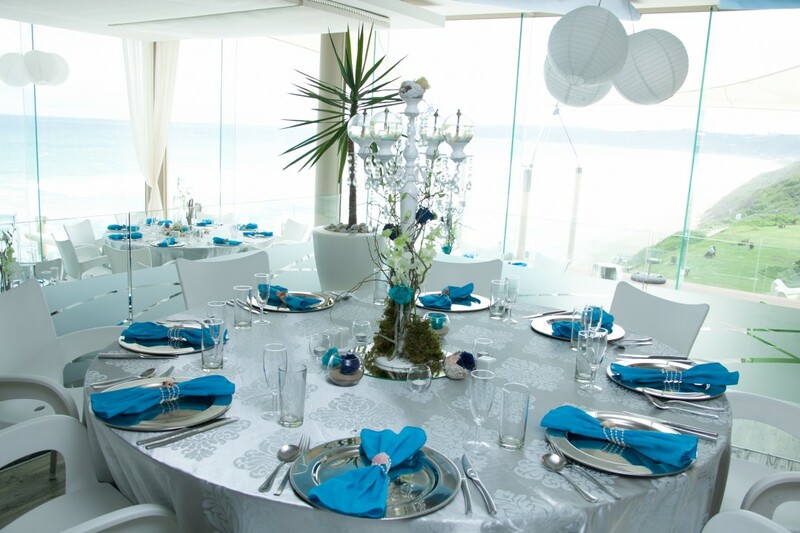 – Validity of the voucher/s are for the duration of your accommodation booking.